Order top of the line promotional materials for your next event or company promotion. 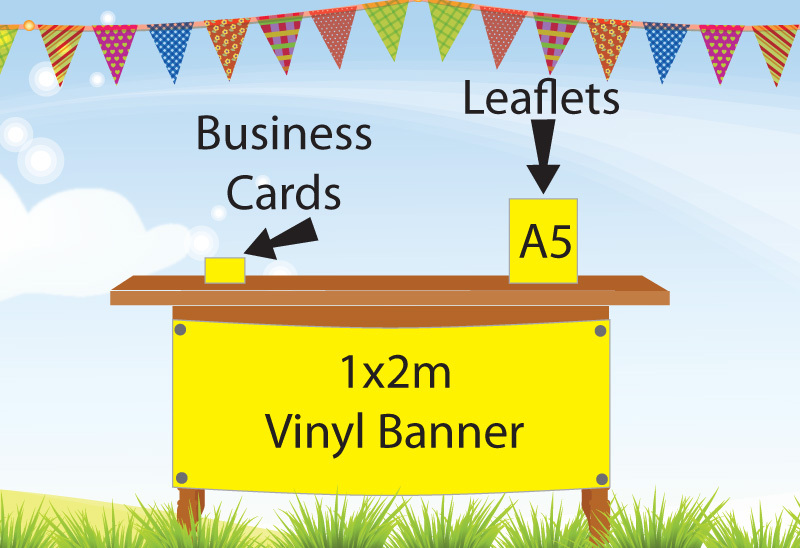 Perfect for events at the BIC, indoor business promotions, and attracting new customers. Save money on business promotional materials when you bundle them conveniently. Different packages available to suit your needs. Top of the line promotional tools perfect for BIC events, indoor or outdoor business promotions, or attracting new customers, bundled for convenience and savings. Best package for outdoor events. Get top of the line promotional materials for your next outdoor event or business promotion, and get discounts when you bundle your promotional materials in our convenient show pack. 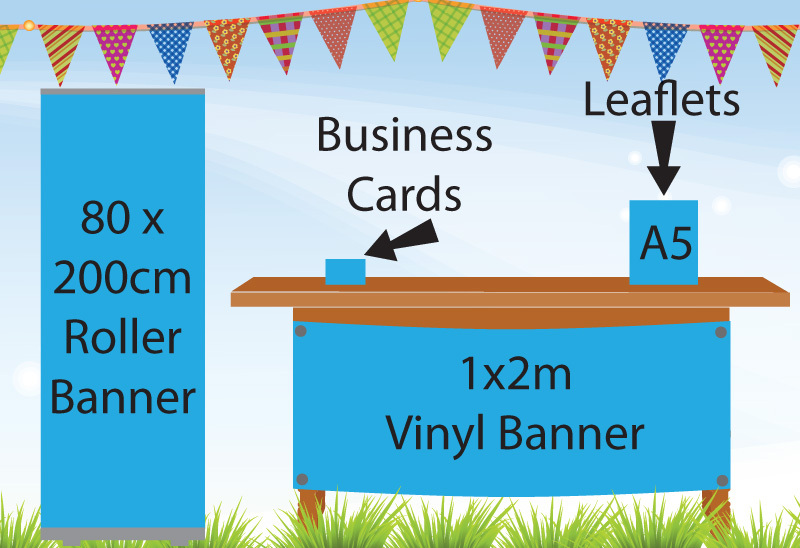 Small business promotional package for indoor or outdoor events. Perfect for events at the BIC, Hampshire County Fair, cycle or racing events, or one of the many local festivals. If you're ready to attract more customers, or advertise your services to a larger audience, bundle small business promotional tools to reach your audience with style! When you are ready to take your small business to the next level, you need the right tools to attract more customers, excite interest in upcoming events, and advertise your services to a larger audience.